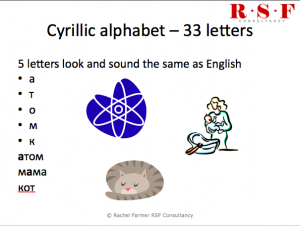 Want to learn to read the 33 letters of the Cyrillic alphabet? 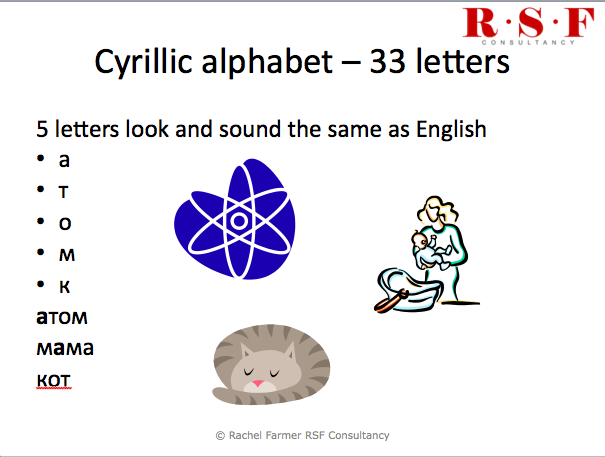 Let’s start with the five letters below that look and sound the same as English and try reading the three international words. The letters in bold show which syllable you should stress.